Whilst Episode 4 was a bit of a quiet affair, the final chapter of The Walking Dead Season Two is now with us….was it a case of taking in the calm before the storm that is Episode 5 ‘No Going Back’? As always, I’ll begin by giving you a heads up on the pretty clean, spoiler free nature of this review. You should by now have played the vast majority of preceding episodes (and by that I mean all of Season One as well) but if you haven’t, I’ll try not to spoil too much in regards as to where Telltale Games have taken the story. That said, you should be begging at the chance to play something that is as compelling and involving as The Walking Dead has been, so don’t delay, finish reading what I have to say and then get to it! With that out of the way, we start Episode 5 ‘No Going Back’ in a bit of a strange situation. Clementine is, as always, with the gang that love to hate each other but where they have previously always had one main goal, that of taking care of themselves, the latest addition to the group means they now have to focus more on a little something else in their lives. 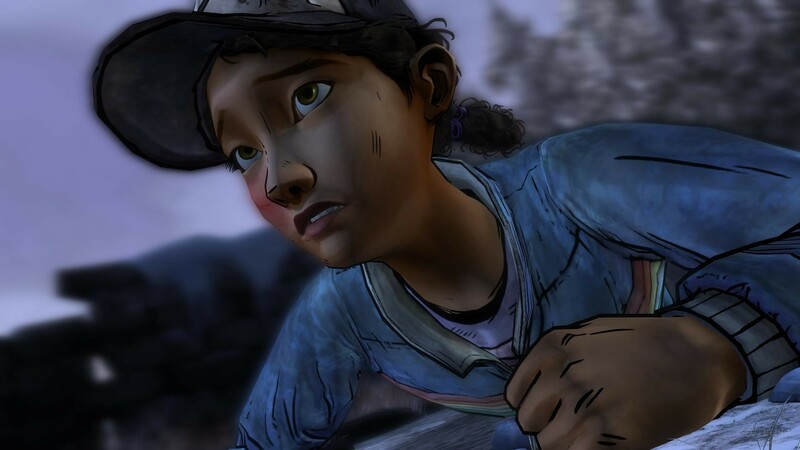 This new dynamic pushes the decisions you make in the chapter right to the wire and as the group begins to fragment even more, Clementine is left with many many tough decisions, not just for herself but with a huge emphasis on what those around her may or may not want. Whilst she has grown up considerably since she first met Lee back in the treehouse of Season One, holding together numerous groups longer than they should and having become a fine aim with the pistol, ‘No Going Back’ frequently reminds you that she is but a child, although one with many tales to tell and it’s sometimes a sad state of affairs when a young girl is the one the ‘grownups’ look to and this is something you’ll experience many times throughout the two hour long final chapter. And a telling tale Episode 5 certainly is with plenty of persuasive conversation needed from the very first minute right up to the very last. Whilst the action side of things is a little short lived this time round, there’s no debating that The Walking Dead is going to keep you gripped (and occasionally open mouthed) as you navigate your way through the minefield that surrounds Clementine. ‘No Going Back’ sees you lose friends, keep friends and make new friends and in the end, even when the zombie walkers are closing in, that’s all that really counts! Isn’t it? The Walking Dead Episode 5 ‘No Going Back’ is a superb end to what has been a brilliant season. The series as a whole started off brilliantly, hit a major high point second time round and whilst the level of the mid season fillers dropped ever so slightly, it has ended with a bang….literally. 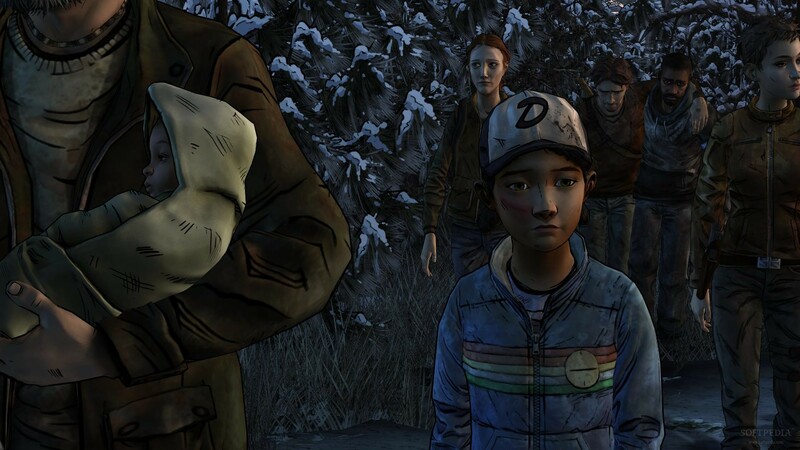 Should you play Season Two of The Walking Dead? Most definitely. Will there be a third? We’d stick our mortgage on it. Previous articleBe afraid……FIFA 15 has rebuilt the goalkeeper!